A SMARTPHONE the Polaroid 20×24 Land Camera obviously was not. 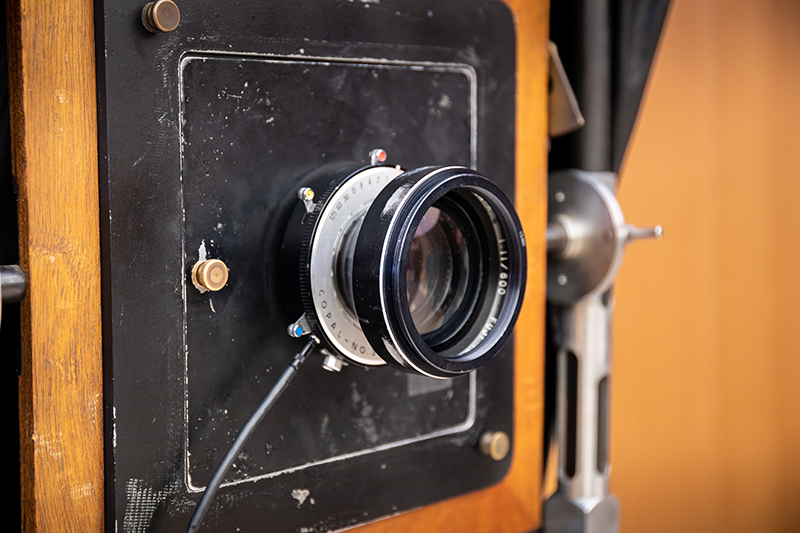 Far more mechanical and beautiful, this large-format camera that took after the name of its inventor, Edwin Land, captured images on a self-developing film — imagine that. 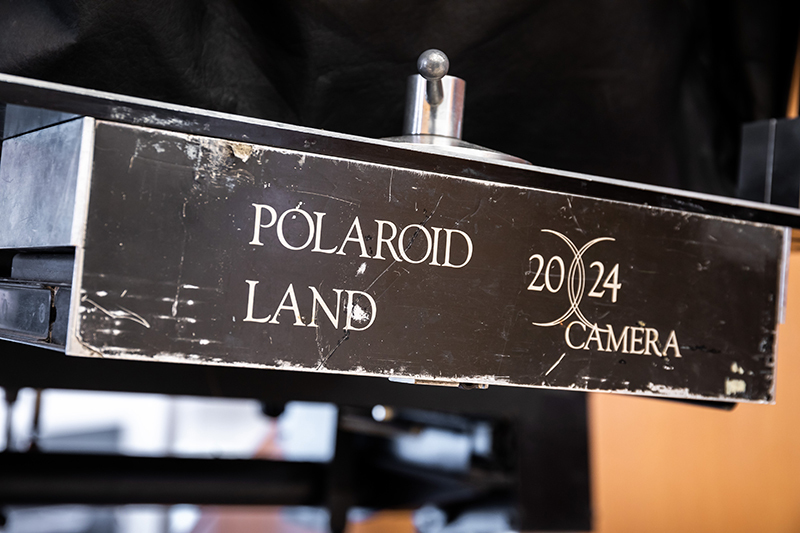 Such was the magic this device created that Land Cameras (not necessarily the 20×24) were built from 1947 up until 1983. Along the way these became the tool on which distinguished lensmen relied in shaping portraits of celebrities and world leaders, as well as other images of a past age. The 20×24 Land Camera — the world’s biggest at 1.5 meters tall and weighing 107 kilograms — quite simply is romantic in a way no smartphone (and its picture-enhancing apps) will ever be. 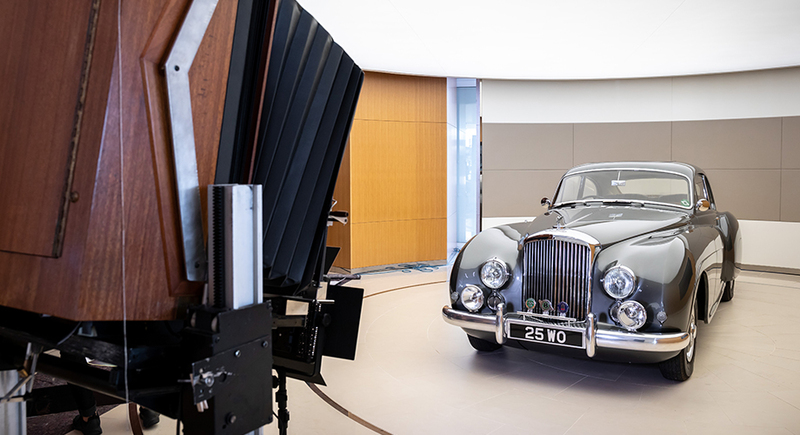 It is the perfect device then to turn to in depicting Bentley Motors’s 100 years of masterful car manufacturing, a milestone the quintessentially British marque will celebrate next year. Bentley, established in 1919 by then 31-year-old engineering enthusiast W.O. Bentley, churned out its first production model in 1921. The car already carried what would eventually become Bentley’s signatures — a unique radiator casing and the Flying “B” insignia. From then on the brand’s models became some of the most distinctive cars of the era, as well as a member of motor racing’s winners’ circle. Bentleys triumphed at Brooklands, Indianapolis and the Isle of Man, and the famous Bentley Boys, a group of wealthy race drivers, furthered the brand’s reputation for high-performance and luxury by winning in Le Mans on five occasions. Hand-built to this day (in Crewe, England), Bentley remains the definitive British luxury car company. The Bentley Centenary Opus will weigh a substantial 30 kilograms and have pages as large as half-a-meter square, and even two meters across for special gatefolds, in order to showcase best the original images it would contain. The book will be available in three distinct versions; the “Mulliner” and “Centenary” limited editions will be presented in large-print format while the “Crewe” edition will be offered in a more accessible size. All three are set for delivery in early 2019. Fittingly, some of the photographs set to appear on its pages are taken using the Polaroid 20×24 Land Camera, ensuring these large-scale originals are defined by rich colors, tremendous detail and exquisitely shallow focus. Bentley models captured during the one-off photo shoot include the EXP 2 of 1919, which is the oldest surviving Bentley; a 1952 R Type Continental; a 1930 8 Litre; the Le Mans-winning Speed 8 from 2003; and the recently launched, all-new Continental GT. The images taken with the unique Polaroid form a special chapter in the book. And this, really, is a special chapter. 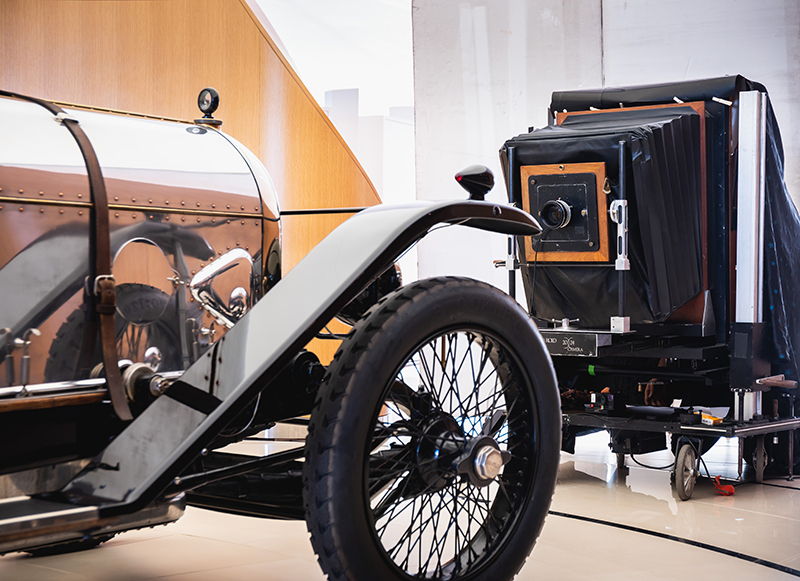 That’s because there isn’t much 20×24 Polaroid film left in the world, and so the camera, after having shot the historic Bentleys, will no longer be used as it retires to a museum. Thankfully, the iconic 20×24 Land Camera managed to capture images of other icons one last time just before it does this.